Majorpalooza, Inc. sought Crème della Crème Copywriting & Communication’s services to redesign and refresh their logo. They wanted their logo to differentiate between the non-profit corporation and the event itself, and also needed rack cards, business cards, and stationary designed with their new logo. To differentiate Majorpalooza, Inc. from the events it sponsors of the same name, a logo was developed to serve as the identifier and brand icon. 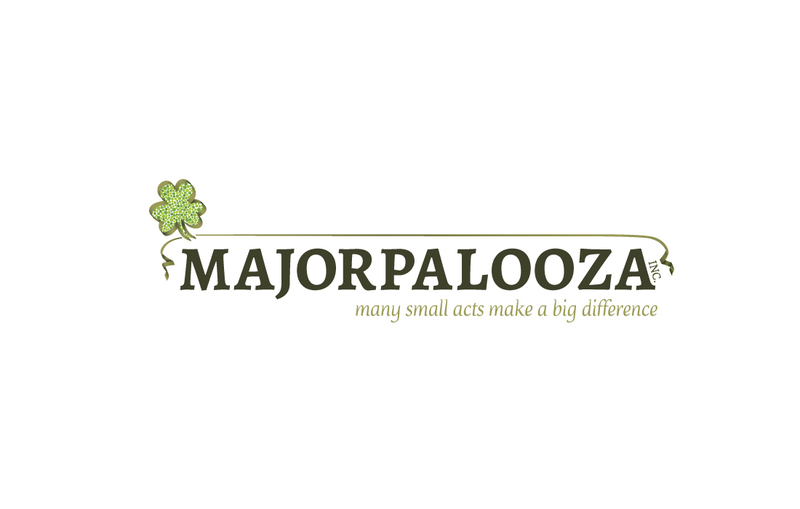 The shamrock in their logo symbolizes the three main focuses of Majorpalooza events: serve and benefit underprivileged, disable, and children with life-threatening or terminal medical conditions. Additional collateral material were designed featuring their refreshed logo.